We are slowly populating content for this section. If you are interested an a specific book, just click on the cover page and it will take you to a website where you can buy the book. For thousands of years almost any country or area outside of Europe and the Middle East was considered to be dark and backward. The "discovery" of civilizations in India and China came as a bit of a surprise to Eurocentric historians but Africa stayed the dark continent until relatively recent times. Just as cartographers and explorers only had a vague idea of the outline of the continent yet knew very little about its interior, so historians knew about its existence but very little about its substance. 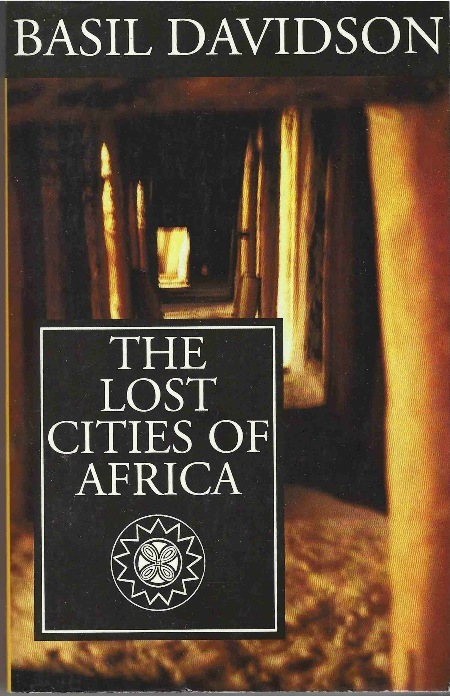 "The Lost Cities of Africa" opens the window to Africa just a little bit and give us a glance at the forgotten history of the "dark continent". Click on the picture if you would like to know more about the book. This historic work by Dr. Basil Davidson MC, is almost like a text book and definitely not for the casual reader. 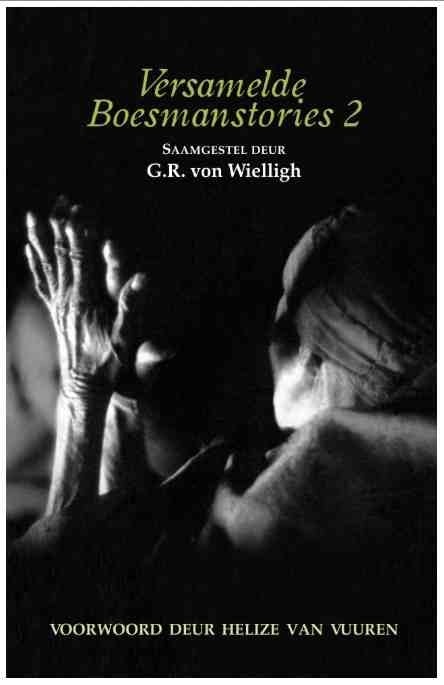 Those amongst us with a passion for African history or someone looking for specific detail about African history might find it very interesting. It would've been nice if there were more pictures and illustrations in the book and if the maps were made to showed more detail of the different sites under discussion. Considering the time frame in which he wrote the book, it was a major achievement and he showed remarkable insight for an Englishmen from that era. In “Afgehandel” vertel Juanita Swart die donker verhaal van Belinda Zeelie, ‘n maatskaplike werker in Pretoria, wat daarin spesialiseer om molesteerders en verkragters te ontmasker deur hul jong slagoffers te ondervra en te ondersteun. 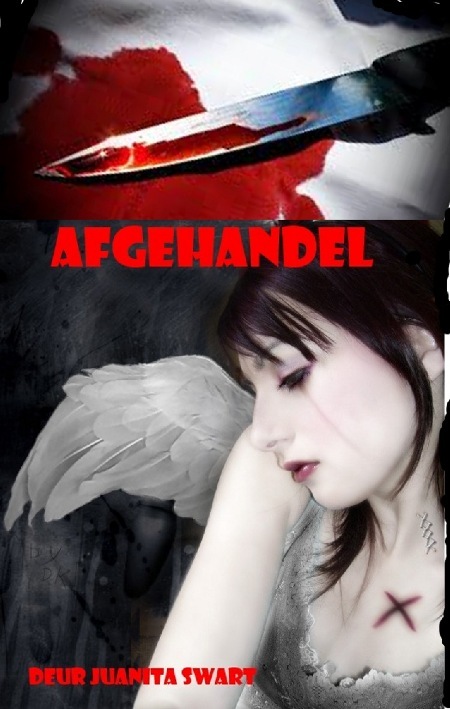 Maar Belinda self was ‘n jong slagoffer en veg daagliks teen haar eie innerlike demone. Haar haat teenoor kindermolesteerders word versterk deur haar persoonlike ervarings, en sy projekteer haarself in so ‘n mate dat sy uiteindelik die reg in eie hande neem. The book provides light entertainment, especially to those who wonder about life on a farm. Country folk on the other hand may be taken back to their own days on the farm and find themselves reminiscing about their experiences and carefree times in the country. The book is based on a more simple life around a small rural town in the “Riemland” or thong country. The imaginary town of Rietfontein, somewhere between Bethlehem and the Golden Gate, is our rural town where the story unfolds. Get to know some of these farmers and their families and what they do every day. Enjoy their simple life and taste the traditional food and treats that they enjoy. Experience farm life as only Makkie can cook it up. For just a little bit more than the price of a Christmas card, you can give someone a book to read this festive season. We put the whole book in PDF format on the CD, package it in this attractive CD envelope, ready as a gift. It can be read on any computer, tablet or e-reader, once the file has been loaded on the device. 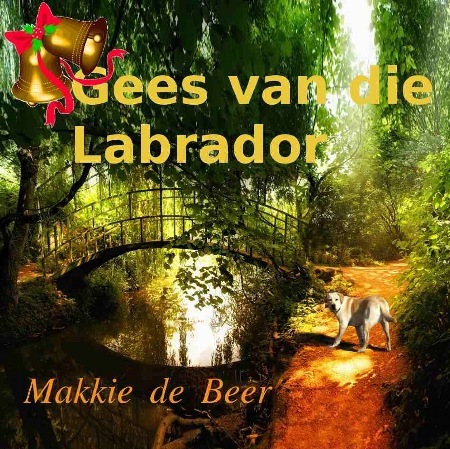 The CD for "Gees van die Labrador", can only be ordered from ours or the "Gees" website. The order form is at the bottom of this page, please scroll down for it. Thank you for your interest! To order copies of the book on CD, roll down to the bottom of the page and fill in the "Order Form". If you enjoy a bit of history, like to travel, don't mind an element of mystery and appreciate different cultures and their religions – you will enjoy the book. He is not scared to drink beer with the Vharemba in Zimbabwe or to climb on a dhow near Zanzibar in an effort to track down the Ark. He brings a fresh new approach to the 2500 year long search for the legendary Ark of the Covenant. If you are like me, chances are you have not heard of the Lemba or their sacred drum, the NgomoLungundu. More than 250 000 of this group of people live amongst us in South Africa, mostly in the Northern provinces. They do not speak their own language and live peacefully in and amongst the other nations of South Africa. However, they do not partake in pork, they do not eat meat and milk together, they go to church on a Friday evening and circumcise their baby boys on the eight day. They are Jews that have been living here for centuries. History and their own oral tradition indicate that they left Israel about 600 years before the birth of Christ, during the Assyrian invasion that was the start of the Jewish diaspora. A young priest from the small village of Senna, just outside of Jerusalem was chosen by the High Priest to smuggle the Ark of the Covenant and other valuable relics out of the Temple. They knew that the enemy had their eyes on the Ark and the other valuables in the Temple and by smuggling it out and hiding it somewhere else, they could keep it out of the hands of the Assyrians. Jerusalem fell into the hands of the enemy and the Temple was destroyed. The young priest called Buba, and his friends were now forced to secretly move their valuable cargo even further away and took it to the Yemen. In the fertile Hadhramaut valley they established a new town and called it Senna. They built a tabernacle for the Ark and the other sacred relics. The skilled businessmen amongst them quickly dominated the business in precious metals and jewelery. The local people soon began to resent them for their wealth and building skills and when a mighty flood washed away their dam, they saw it as a sign to move further away. The group (and the relics) were split in two, some of them travelled South along the East coast of Africa all the way to the mouth of the Zambezi river. Inland along the Zambezi they built another village and again called it Senna (today villa de Senna in Mozambique). From there they migrated West into Zimbabwe and eventually crossed the Limpopo River into South Africa. When confronted by the enemy their priests (from the Buba tribe) would carry their sacred drum, the NgomoLungundu, ahead of the soldiers into battle. Apparently the vibration from this huge drum would strike fear into the chests of the enemy and they would loose there will to fight. 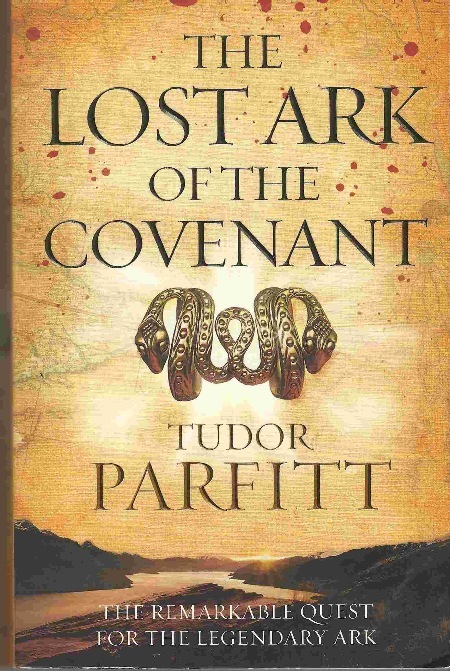 Professor Tudor Parfitt in his twenty-year search for the biblical Ark, travels to all corners of the earth in search of evidence to track down the Ark of the Covenant. He followed clues from the “Tractate of the Temple Vessels” which strongly suggested that the Ark had once been taken along with a fabulous hoard of treasure to somewhere in Arabia. There is very little in the recorded history about what happened to it after that. The oral history of the Lemba people showed a lot of promise and it was worth following up. Tracking down the lost tribes of Israel, is his life's work and his use of DNA evidence led to a breakthrough that brought him to something that could just as well be the lost Ark of the Covenant. The first book (Versamelde Boesmanstories 1) is more readily available at this stage but we did find you copies of the second book as well. 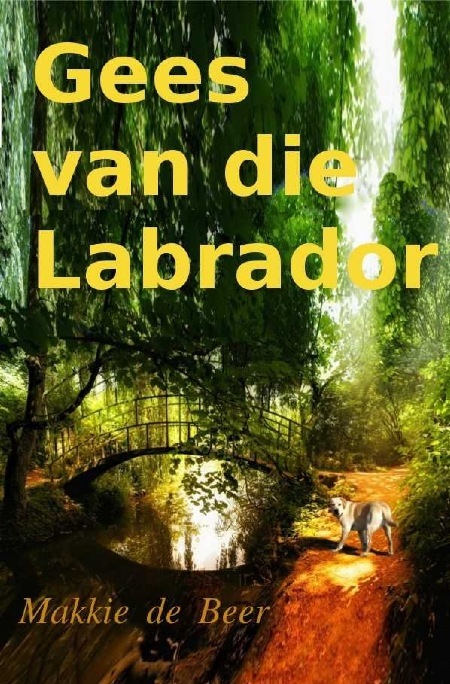 Interested in a discussion about these two "Boesmanstories" books in Afrikaans? Click on our sister website Kameeldoringboeke for more information. 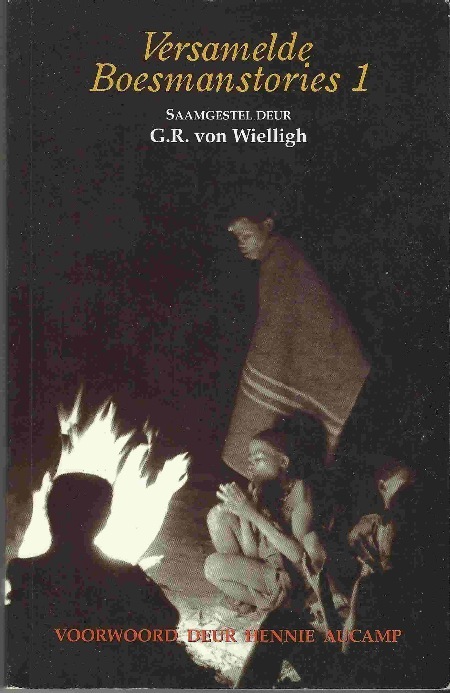 If it is the Bushmen Stories you are interested in, then click on Bushmen Stories, where we publish the English rendition of these and other Bushmen stories. 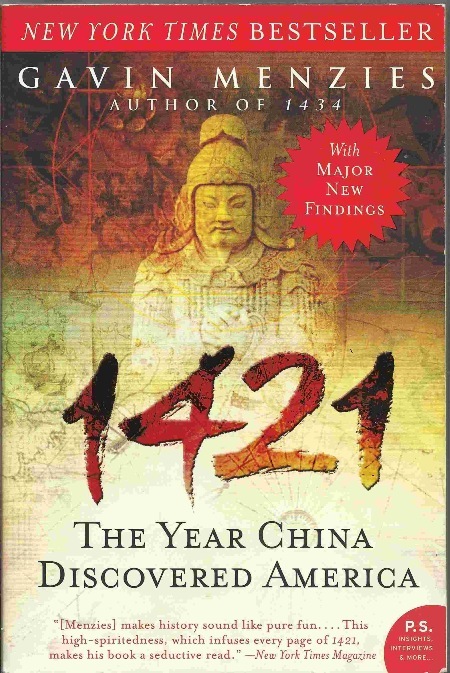 This book by Gavin Menzies first made headlines in 2004, when he challenged conventional history by claiming that China discovered America in 1421. The Chinese had maps of America 30 years before Columbus was born. In fact Columbus and other famous explorers used maps that were drawn from these Chinese works to "discover" the new world. Gavin Menzies happened to spend the first two years of his life in China. He joined the Royal Navy in 1953 and has always been passionate about maps. His knowledge of maps and navigation was gained over many years in the Navy and as Captain of a submarine. It is his special insight into the art of map drawing and his practical knowledge of so many parts of the world that allowed him to put together the long-forgotten pieces of this puzzle. The scale of the Chinese effort was astonishing, on 8th of March 1421 almost a thousand ocean-going ships left China with the specific purpose to chart the world and “proceed all the way to the end of the earth”. Their technology and organization was impressive and Menzies brings all of it to life for us to understand and follow around the world. These ships were deliberately positioned to observe a lunar eclipse and use the event to accurately plot their positions on the globe. Their victorious return in October 1423 was a damp squib because China as they knew it had changed forever. The emperor had fallen, the country was in chaos and these majestic ships were left at their moorings to rot. The new regime destroyed most of the records of these voyages and during a long self-imposed isolation most of the knowledge was lost. Nobody cared that the brave Chinese sailors reached America 70 years before Columbus or that they circumnavigated the globe a century before Magellan. Who would enjoy this book? If you like a bit of history, is fascinated by old maps and forever trying to figure out the truth – you might enjoy it. If you enjoy speculating about mysteries and can't help wondering how the Antarctic coastline was drawn so accurately on the Perri Reis map – this is definitely for you. Mix in a bit of old Chinese navel history, travel to all the corners of the earth and you might find, like me that it was very difficult to put down this book.